Uf how i lafed when i looked at Samsung. 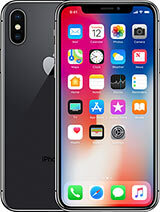 i900 is competitor and probably better than HTC Diwmond, while HTC Toutch Pro is competitor to Xperia. What got into you to compare X1 with i900? Didnt't you notice one is phone while other is qwerty phone? That is like laptop versus mobile phone. Completly diferent peoplpe buy phones with qwerty or without. Because you first deceide if you want qwerty and than which phone will you chose. So why you posting or X1 comment, if you don't want qwerty phone??? Thor, 09 Jun 2008Why are you saying it will come to market too late??? It will came at the same time as HTC... moreBecause Samsung i900 Omnia will be out by then. And if Samsung is just half as good as it looks on paper it will beat Xpedia big time. I wish there would be more competition - the price would come down more. Another problem is that : SE is not able to put any phone on the market without quality problems - HTC also not known to have great QC (quality control). Why are you saying it will come to market too late??? I do not understand what has happened to SE. One lousy phone after another. And the fact that Se can not even able to manufacture it - well that confirms that SE has a huge quality control problem. Forgot to mention that I900 is lighter and has much more memory with MicroSD. Thats why a company like samsung is #2 world wide,which explains why other companies also keep on track while others give pictures and late appearing in the market. WELLDONE for those companies of hard working and fast acting! For the 3RD time i post that by the time the X1 hits the market its going to be TOOOOO LATE! 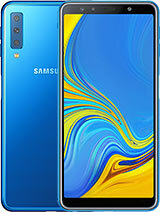 LOL,take a look to the NEW I900 from Samsung,larger display,faster processor and much better camera with more syle like the iphone.NO sliding crap or anything but you get to function everything by TOUCH.which is better by the if you really understand that ONE pace is better than 2 which slides. ONE,drop of such phone is enough to get the uper and lower paces broken. NOT TO MENTION that I900 would be out soon,funny when SE were the 1st to use the WM6.1pro in marketing hopes for it to come when it seems like the X1 would be the last WM6.1pro to hit the market. ITS NOT OVER YET,wait a little more and see what other companies might come up with for the next upcoming weeks or month lol. I was looking forward to getting this phone until I noticed the battery life. The battery life seems to be lacking for a Sony Ericsson phone. Specs vs. specs, I think iPhone and HTC Touch Pro are better. Simply excellent SE is consistent on its quality. Hey anonymous, i dropped an question for you in the HTC TY TNII blog. XPERIA IS THE BEST OF THE BEST (TBOTB)!!!! Stand-by Up to 833 h? Amazing!!! Anyone knows if the X1 has a Walkman player? I am quite disappointed by the new SE phones. I expect SE will soon stop making phones, and follow the descending path of Motorola or Philips. Some people seem desperate for this model to be delayed.how strange! Expect an announcement on June 17.